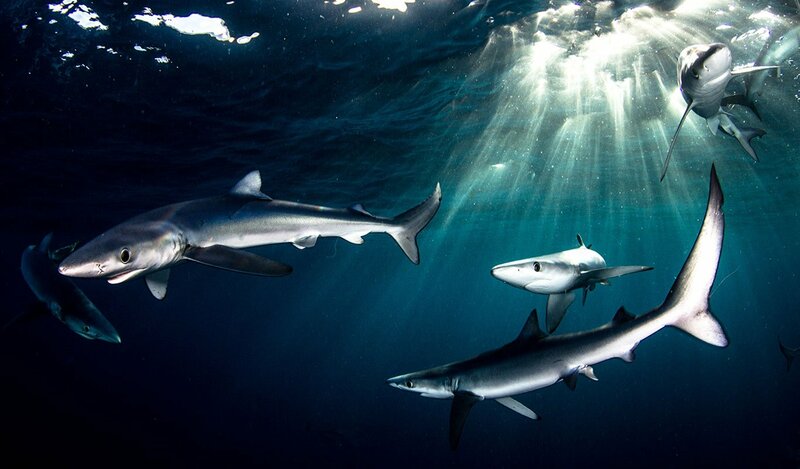 The shark expedition of a lifetime. Sharkaholic will take you to dive, interact and film up to 10 different species of shark in one action packed adventure. 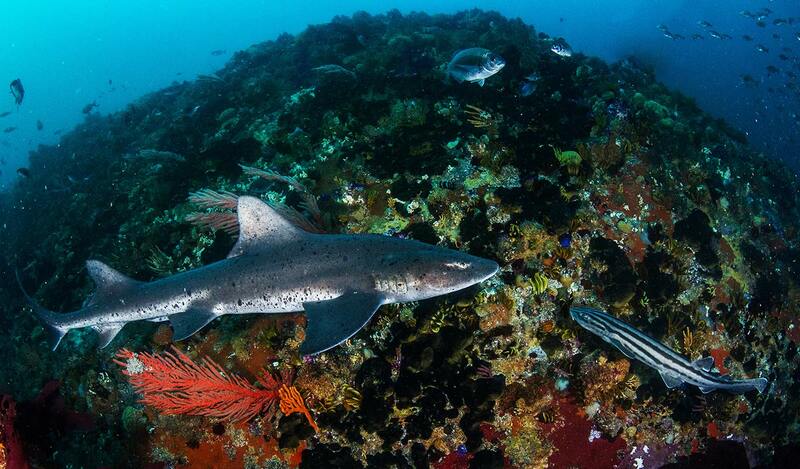 South Africa is a “shark hotspot” with over 100 species of shark present in our waters. 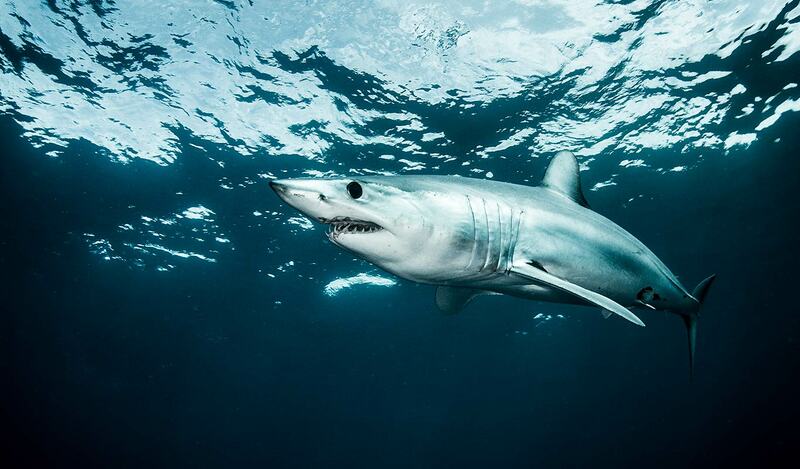 Join Shark Explorers on the shark expedition of a lifetime to dive, interact, film and photograph White Sharks, Blue Sharks, Mako Sharks, Sevengill Sharks, Spotted Gully Sharks, Puffadder Cat Sharks, Dark Shy Sharks, Pajama Sharks, Leopard Cat Sharks, Cape Fur Seals, and much more. This 10Night/9Day expedition package also includes a full day tour to view the BIG 5 on land, making this a truly African experience! 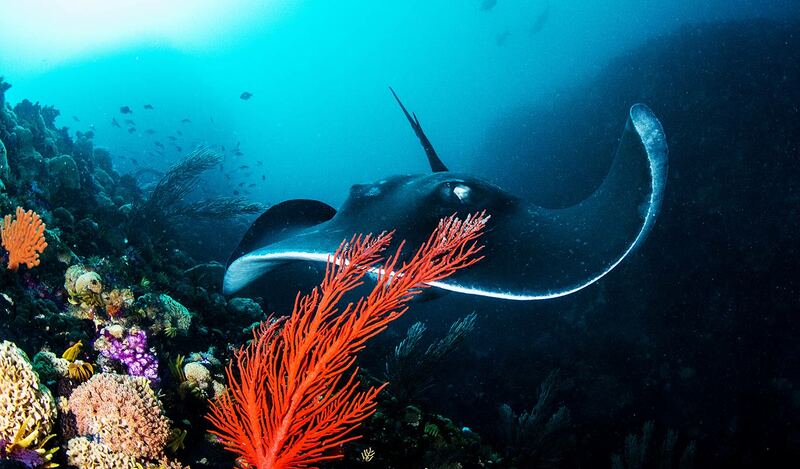 Also included are three half day sightseeing tours to discover the beauty of the Western Cape. 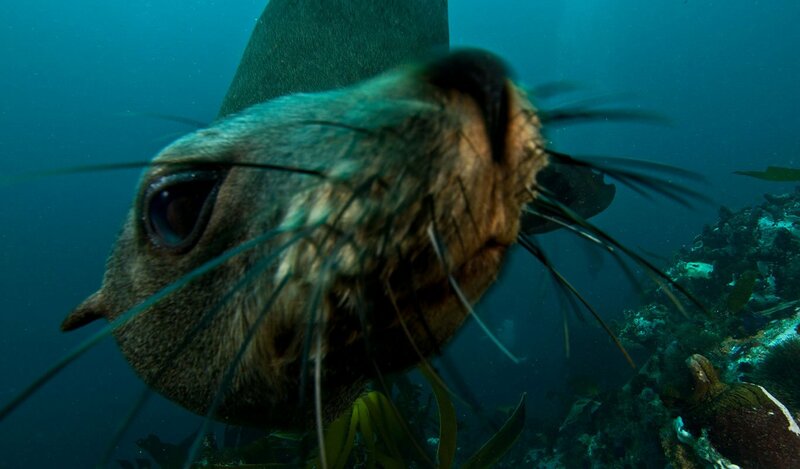 On these tours we plan to show you the “Cape of Good hope” which is the most South Western tip of the African continent, finish this tour off with the famous “Boulders Beach” which is home to the African penguins. Other sightseeing attractions on this expedition are Table Mountain , Robben Island or a trip to some of the best wine farms in the world. 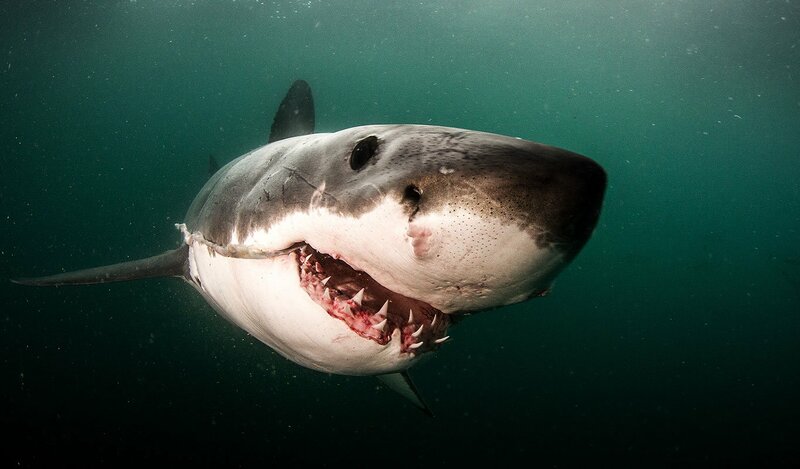 The Shark action will consist of two trips to Seal Island (False Bay) to meet the Great White Shark face to face and learn about their behaviour and movements around our coastline. 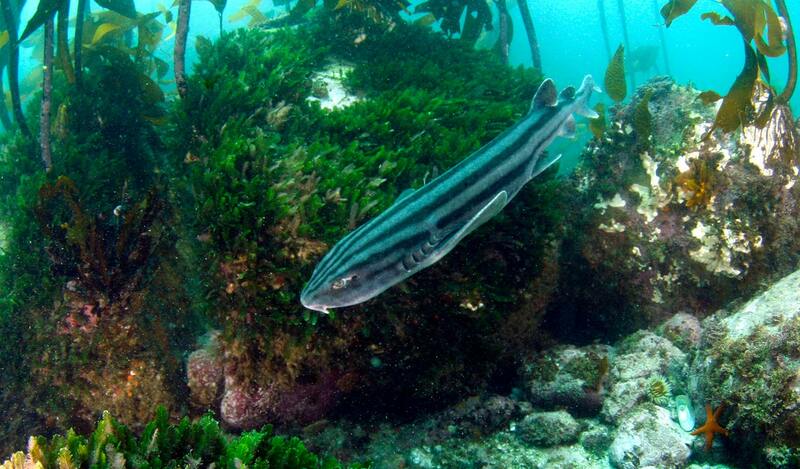 Three inshore dive trips (two dives per trip) amongst the kelp forests in search of Broadnose Sevengill Sharks, Spotted Gully Sharks, Puffadder Cat Sharks, Dark Shy Sharks, Leopard Cat Sharks, Pajama Sharks and Cape Fur Seals. 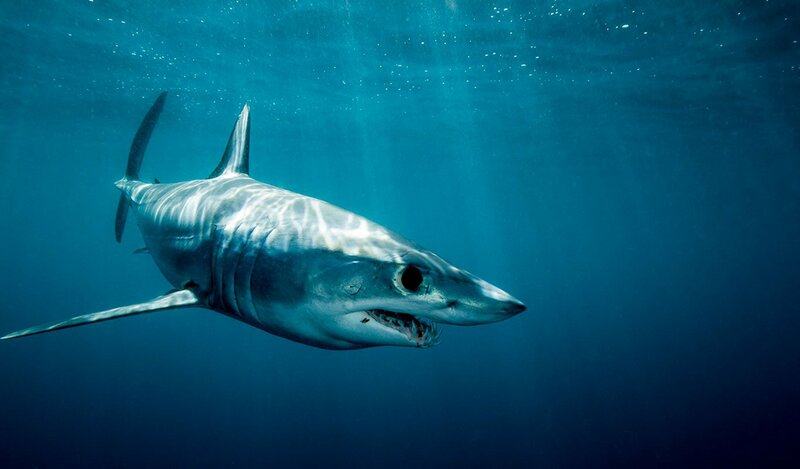 Two offshore trips in search of Blue Sharks, Mako Sharks, Giant Yellowfin Tuna and Longfin Tuna and Pilot whales. The three half day land based tours are flexible to the desire of the group and the advice from the tour guide. The options are Cape point nature reserve, Penguin colony at Boulders Beach, Table Mountain, Robben Island, Winelands and many more. There are also 3 different accommodation options to choose from! Quayside hotel is a 4 star hotel located on the waters edge overlooking the yacht club where our boats are waiting. In the heart of Simonstown, it is close to shops and restaurants. The second option is the Mariner B&B that is situated on the mountain slope overlooking the bay. It is a 10min walk from the yacht club and town centre. The third option is the Pingus Diver house, a very private accommodation fitted to the highest quality with a private pool. Pingus house is located in a quite neighborhood and is a 30min walk from the town centre. More information and guidance will be given upon inquiring as to the best suited accommodation for guests with different needs. Don’t miss out on this full African package of experiences not to be missed!